We recently started “Winers” night with another new Rose’. I’ve been on a Rose’ kick this summer and there have been a few good ones out there. I think this was another good choice from William Gordon Winery out of Sonona County, more specifically Cloverdale. Cloverdale is about 18 miles north of Healdsburg. Chris and I had the privilege of meeting Gordon Drake last spring at a local wine event in St Paul. 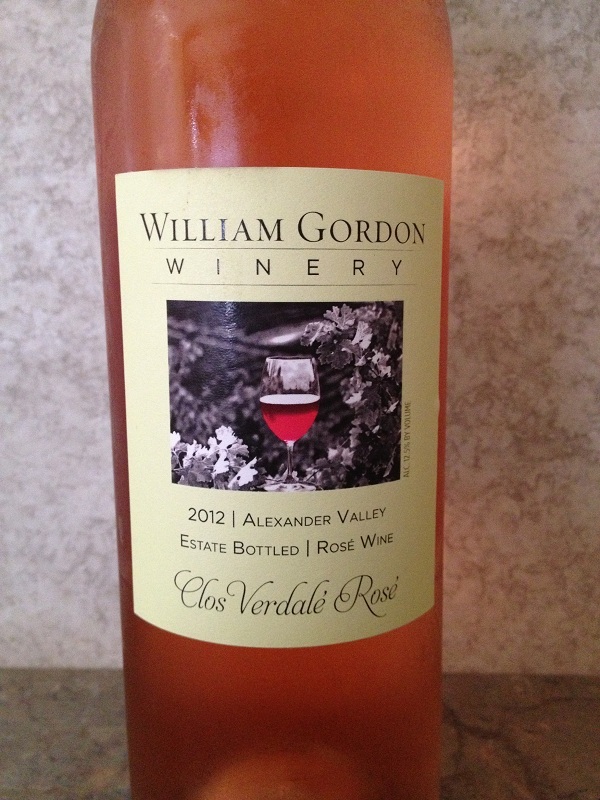 So a bit of information on the 2012 Clos Verdale Rose’. Most of which I read is from the back of the bottle. The Clos Verdale Rose’ is sourced from the Melanie Pena and Mark Perry’s hillside Petite Syrah vineyard, Vina de las Penas, in the Alexander Valley. The William Gordon winery only produced 38 cases. The Rose had a nice salmon hue and the color depth was pale. 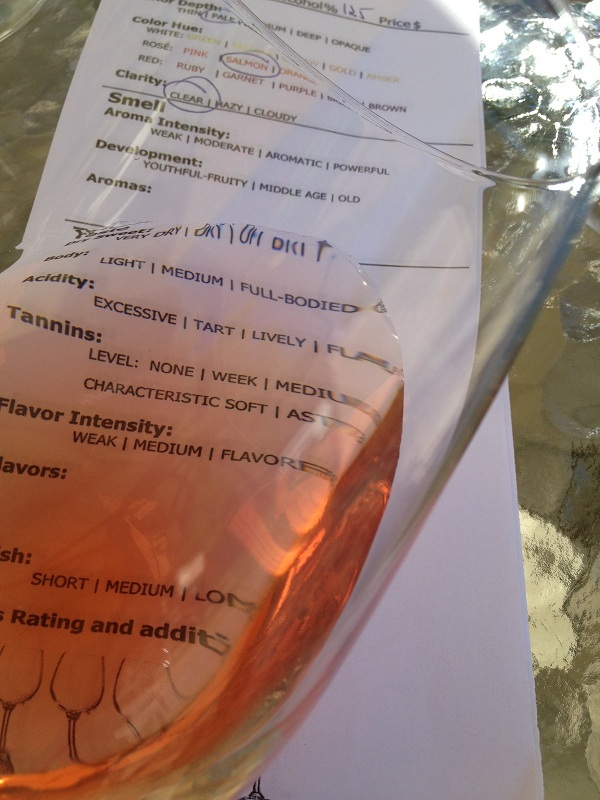 The Clos Verdale Rose’ was very aromatic and young. We could smell strawberry and peach. The Rose’ was slightly dry, not sweet. It was light body, slightly tart, and very refreshing. It was very flavorful and our initial taste was fruity with a straw like long finish. I could not pick out a particular fruit. We really enjoyed the 2012 Clos Verdale Rose’. The girls were in Dave & Heather’s camper preparing snacks, while Dave and I were sitting at the table under a shady tree watching boats drive buy on the lake. This Rose’ was perfect for both situations and we all enjoyed it. I could see myself buying more and sharing it with friends on a hot summer day. I am happy I bought a bottle!